As April, 1862, draws to a close, soldiers on both sides write of the busyness of campaigns and the destruction they see, their worries about the enemy, the rightness of their cause, and the lack of mail from home. Some Union soldiers assert their opposition to abolition while the Senate approves the treaty with Great Britain for suppression of international slave trade. (In heaven, William Wilberforce and John Wesley must be smiling.) Union naval officer Commodore Farragut makes a name for himself by capturing New Orleans which distresses southerners like Mary Chesnut and pleases Yankees like Elisha Hunt Rhodes. In New York, the business man Isaac Singer is involved in a messy and expensive divorce. On the West Coast, California discriminates against Chinese immigrant labor. (Between 1854 and the end of 1860, over 41,000 Chinese immigrants have entered the United States, mostly in California.) Spain and England begin to withdraw from the European intervention in Mexico, leaving the French to discover the tenacity of Mexican soldiers. The Russian Tsar keeps a tight hold on the press and a British correspondent accuses President Lincoln of doing likewise. French author Victor Hugo finally comes out with a new novel and President Lincoln recites poetry with a friend during a quiet private evening at the White House. Publicly, visiting French sailors cheer the American President. April 24– Thursday– Mississippi River, below New Orleans, Louisiana–Early in the morning Commodore Farragut’s vessels begin sailing up the Mississippi River past Fort Jackson and Fort St. Phillip. After half the fleet sails past the fort the Confederates discover the movement and open fire. However, the majority of Federal ships make it past the forts. April 25– Friday– New Orleans, Louisiana– After defeating Confederate ships at English Turn, Commodore Farragut’s fleet drops anchor at the city and demands the surrender of the most important port in the South. With a population of 168,675, it is the largest city in the Confederacy and 6th largest in the United States. April 25– Friday– Washington, D.C.– The Senate unanimously approves the treaty with Great Britain regarding joint efforts to suppress the slave trade, without changes or amendments. April 26– Saturday– Sacramento, California–The state legislature passes “An Act to Protect Free White Labor Against Competition with Chinese Coolie Labor, and to Discourage The Immigration of the Chinese into the State of California” (commonly called “The Anti-Coolie Act of 1862”). The law levies a tax of $2.50 per month on anyone of Chinese origin who applies for a license to work in the mines or to operate any kind of business. Since the majority of Chinese workers earn only wages of $3 or $4 a month, the tax is a significant burden. April 26– Saturday– Washington Navy Yard– President Lincoln is warmly received by the crew of the visiting French warship, Gassendi. April 26– Saturday– Fort Macon, North Carolina– The Confederate force formally surrenders, the Federals taking 400 of the rebels as prisoners. 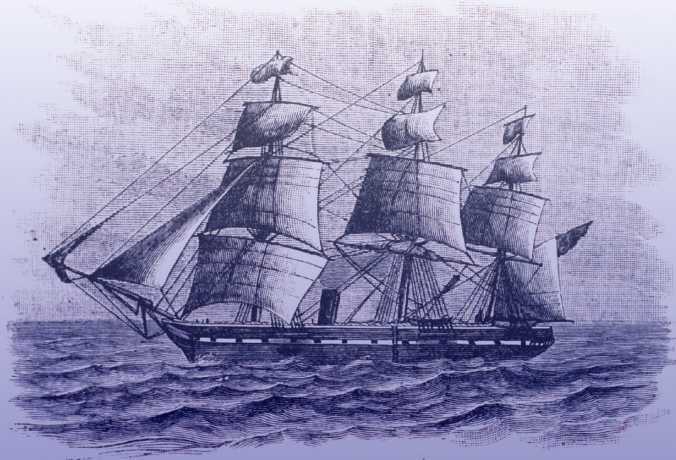 April 28– Monday– Nassau, the Bahamas–In a deal with certain British sources, the Confederacy takes possession of the British ship Oreto which will become the warship CSS Florida. April 28– Monday– New Orleans, Louisiana– The city formally surrenders to Federal forces after Farragut threatens to bombard the city. April 29– Tuesday– Padova, Italy– Birth of Vittorio Mano Vanzo, composer. April 30– Wednesday– Cameron, Mexico– A sixty-five man company of the French Foreign Legion fights an all-day battle with Mexican irregular forces. Only 5 of the Legionaries survive. During the third week of April, 1862, Southern women worry and help the war effort as they can. Soldiers of both sides write of battles, camp life and problems. The Confederacy resorts to conscription to replenish the ranks of the army. (From February 1st through April 8th they have lost more than 2,200 men killed in action and more than twice that number wounded.) In the North, former Secretary of War Simon Cameron finds himself in legal trouble. President Lincoln is pleased to sign legislation abolishing slavery in the District of Columbia. Wisconsin loses its new governor in an accident. An English woman writes novels which become best sellers while British abolitionists pay a call upon U S Minister Charles Francis Adams. In France a brilliant scientist and his colleague make an advance in food safety. April 15– Tuesday– New York City– The New York Times notes that “T. B. Peterson & Brothers, of Philadelphia, have now in press and will publish, on Saturday next, a new work of great merit, entitled The Channings; a Domestic Novel of Real Life, by Mrs. Henry Wood.” Mrs Henry Wood is the pen name of Ellen Price Wood, an English writer who, two years ago, created a literary stir with her novel East Lynne. April 16– Wednesday– Richmond, Virginia– President Davis signs into law a conscription act requiring all white males between 18 and 35 years of age to perform three years of military service. 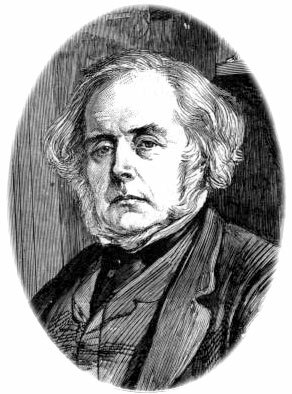 April 16– Wednesday– London, England– Ten members of the British and Foreign Anti-Slavery Society, three of them presently serving in Parliament, call upon the American Minister, Charles Francis Adams. They say to Mr Adams, “The committee view with profound sorrow the unhappy contest between the Northern and the Southern sections of the Republic. 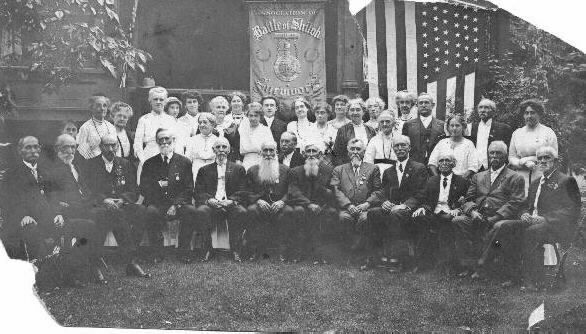 In the presence of so appalling a calamity, they can only give utterance to the fervent hope that the fratricidal conflict may soon cease, and peace be restored to the land; and that with the abolition of the true cause of strife, a common ground of union may be found, and a divided community be again joined in the bonds of brotherhood. In conclusion, the Committee would assure you, Sir. of their personal esteem and consideration, and of their very sincere desire for the welfare and the prosperity of the nation you represent.” In return, Minister Adams expresses his thanks and the reciprocal good will of the Lincoln Administration to Her Majesty’s Government and to the British people. April 18– Friday– Mississippi River, below New Orleans, Louisiana– Commodore Farragut’s ships begin a five day bombardment of the Confederate forces at Fort Jackson and Fort St. Philip. April 19– Saturday– Tennessee River, Savannah, Tennessee– Heading home from a visit to troops from his state, Wisconsin governor Louis Harvey misses his footing while trying to board a steamboat, falls into the river and drowns. A Republican, only 41 years old, he had just taken office on January 6th of this year. April 20– Easter Sunday– Paris, France– Two French scientists, Louis Pasteur and Claude Bernard, complete the first “pasteurization” test to free milk, beer and wine from impurities. As the calendar moves into mid-month of April, 1862, soldiers on both sides write home with high expectations and low opinions of the other side. While General McClellan’s slowness bothers President Lincoln and citizens such as George Templeton Strong, Federal forces capture Island #10 in the Mississippi River and Fort Pulaski in Georgia. Abolition of slavery makes some progress, orthodox and unorthodox. 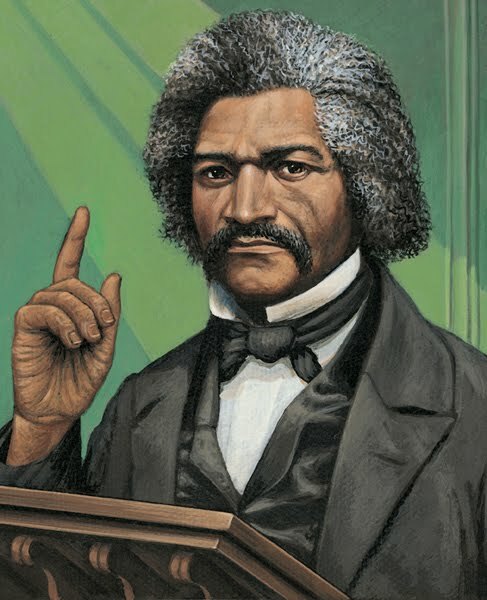 Emancipation of slaves in the District of Columbia moves toward reality and the treaty for suppression of the slave trade goes to the Senate for ratification. Acting brashly, Union General David Hunter proclaims freedom for slaves in the vicinity of Fort Pulaski. New York state moves backwards on women’s rights. In Mexico, Spain and England begin to pull out of the European intervention, leaving France to act alone. President Lincoln briefs Congress on the situation in Mexico. France makes a military conquest in southeast Asia and a diplomatic overture to the Empire of Japan. The New York Times reports on the immigration facility at Ward’s Island. While the outbreak of civil war has significantly reduced immigration from what it was between 1849 and 1860, none-the-less, 91,985 immigrants enter the United States this year. The vast majority, over 80%, come from three regions: 30.0% come from the German states; 26.8% come from Great Britain; and 25.4% come from Ireland. In large part, they are male (58.4%), between the ages of 15 and 40 (73.0%) and without occupations (54.9%– however, this figure includes children under age 15 and many but not all women; for example, 3.2% of the total number of immigrants, over 2900, list their occupation as some form of “domestic worker” and the majority of them are women). April 8– Tuesday– New Madrid, Missouri– Confederate troops surrender Island #10 in the Mississippi River. Federal forces edge closer to driving a wedge into the Confederacy. Union troops take about 7,000 rebel prisoners as well as seizing more than three dozen artillery pieces and lots of ammunition. Union losses are 23 dead and 50 wounded. April 9– Wednesday– Mexico– Divided by charges made by a Spanish general about French intentions in Mexico, representatives of Spain, Great Britain and France terminate joint operations. British and Spanish troops begin to withdraw. April 10– Thursday– Washington, D.C.– President Lincoln gives final approval to the resolution for compensated emancipation. He also issues a proclamation asking the people to observe a day of prayer and thanksgiving, “that at their next weekly assemblages in their accustomed places of public worship which shall occur after notice of this proclamation shall have been received they especially acknowledge and render thanks to our Heavenly Father for these inestimable blessings, that they then and there implore spiritual consolation in behalf of all who have been brought into affliction by the casualties and calamities of sedition and civil war, and that they reverently invoke the divine guidance for our national counsels, to the end that they may speedily result in the restoration of peace, harmony, and unity throughout our borders and hasten the establishment of fraternal relations among all the countries of the earth.” And pursuant to the provisions of the constitution, the president sends a message. “I transmit to the Senate, for its consideration with a view to ratification, a treaty between the United States and Her Britannic Majesty for the suppression of the slave trade.” This is the document signed on April 7th by Secretary of State Seward and Britain’s Minister, Lord Lyons. .
April 10– Thursday– Albany, New York–The state legislature passes a bill prohibiting waitresses from serving liquor. In the same session, the legislature repeals legislation which gave women equal guardianship of girls and repeals protection of widows’ control of the property of minors. 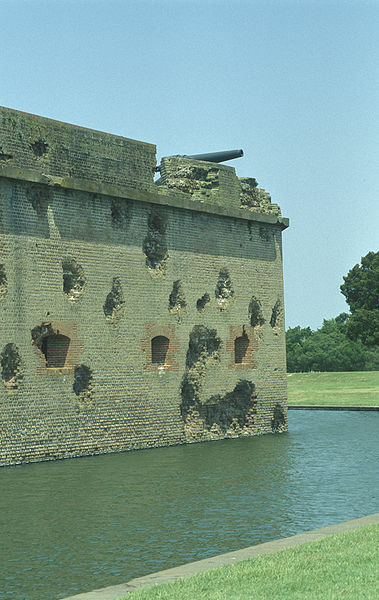 April 11– Friday– Savannah, Georgia– Extensive bombardment by high-powered Union artillery forces the surrender of Fort Pulaski near the city, thus strengthening the Federal blockade. About 360 Confederate soldiers are taken prisoner. Their fort is reduced to rubble. April 11– Friday– Glens Falls, New York– Birth of Charles Evans Hughes, who will become governor of New York, Secretary of State, an associate justice and chief justice of the United States Supreme Court. April 11– Friday– Quebec, Canada– Mr A. T. Galt, the Finance Minister of Canada, complains in writing about some of the provisions of a proposed reciprocity of trade treaty between Canada and the United States. He argues that some terms favor the interests of the United States to Canada’s disadvantage and also some American goods could enter untaxed while comparable British goods would be taxed. April 11– Friday– Hancock County, Ohio– Birth of William Wallace Campbell, astronomer, who will serve as president of the University of California from 1923 to 1930 and director of the Lick Observatory, San Jose, California, from 1900 to 1930. April 12– Saturday– New York City– The New York Times reports that Cyrus Field is working in conjunction with American and British firms regarding a new and improved trans-Atlantic cable system. April 12– Saturday– Richmond, Virginia–By combining the Confederate Army of the Potomac with the Army of the Peninsula and a large garrison at Norfolk, President Jeff Davis creates the Army of Northern Virginia. April 12– Saturday– Fort Pulaski, Georgia– Union General David Hunter, 59 years old, a West Point graduate, orders that all slaves in the immediate vicinity are now free persons. April 12– Saturday– Kennesaw, Georgia–In a raid that will come to be known as “the Great Locomotive Chase” which is aimed at destroying the Western and Atlantic Railroad link to Chattanooga, a group of seventeen Union men led by James J Andrews, a civilian scout and part-time spy, steal a north-bound train. However, the plan to sabotage the southern railroad unravels. 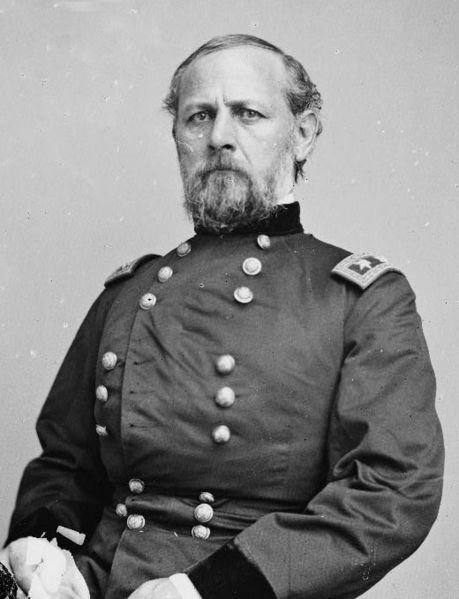 Being hotly pursued by railroad workers and Confederate soldiers, the northerners abandon the engine after traveling 87 miles, and flee on foot but by April 26th, Andrews and all his men will be captured and imprisoned. April 13– Sunday– Hue, Vietnam– The government, acting under duress from France, cedes the control of three territories to the French. April 13– Sunday– Paris, France– Emperor Napoleon III formally receives ambassadors from Japan and the two powers conclude a treaty of friendship and commerce. April 14– Monday– Washington, D. C.– President Lincoln submits to the House of Representatives a report on events and conditions in Mexico. April 14– Monday– Mississippi River, below New Orleans, Louisiana–A Federal fleet under Commodore David Farragut appears at the mouth of the Mississippi River. April 14– Monday– Dresden, Kingdom of Saxony– Birth of Pyotr Stolypin. His parents are Russian aristocrats. As an agrarian reformer, he will head the Russian Duma [parliament] from 1906 to 1911. [He will be assassinated in the Duma in 1911]. The month of April, 1862, opens with anticipation and fear on both warring sides. Soldiers wearing blue and soldiers wearing grey grow weary of war and long for home. Mothers, sweethearts, wives and sisters of soldiers worry about their men. President Lincoln worries about disloyalty in Baltimore and when McClellan will actually use his large Army of the Potomac. Representatives of the United States and Great Britain put their signatures on a treaty in anticipation of finally moving the two powers into cooperative efforts to suppress the international slave trade. A Quaker member of Parliament anticipates restoration of the union and an end to slavery. 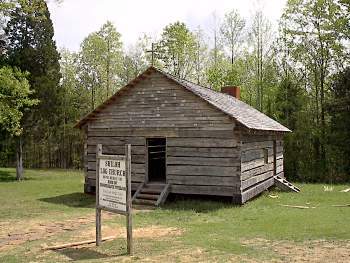 In Tennessee, one of the bloodiest battles of the war to this date occurs at Shiloh church, with over 23,000 total casualties, including the commanding Confederate general among the 3,477 dead. Yet ordinary life continues. Around the world, contributors to life, the arts and knowledge die while others are born. 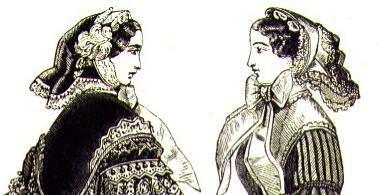 Fashionable Southern women take carriage rides and fashionable Northern women can expect the opportunity to purchase the latest French fashions. April 2– Wednesday– Elizabeth, New Jersey– Birth of Nicholas Murray Butler, educator and diplomat, who will win the Nobel Peace Prize in 1931. April 3– Thursday– Aylesbury, England– Sir James Clark Ross, naval officer and explorer, dies 12 days before his 62nd birthday. He led two naval explorations of the waters around Antarctica in 1841 and 1842 as well as leading the search for the missing explorer Sir John Franklin in 1848. April 5– Saturday– Yorktown, Virginia–Federal troops under General McClellan begin a month long siege of the town. April 5– Saturday– Buxieres-des-Mines, France– Birth of Louis Gaston Ganne, composer and conductor. April 6– Sunday– Pittsburg Landing, Tennessee– Confederate troops launch an attack upon General Grant’s unsuspecting Federal forces in the area of Shiloh Meeting House. In the heavy fighting, one of the Confederate dead is the commanding general, Albert Sidney Johnston. April 6– Sunday– Paris, France– Birth of Georges Darien, writer and anarchist. 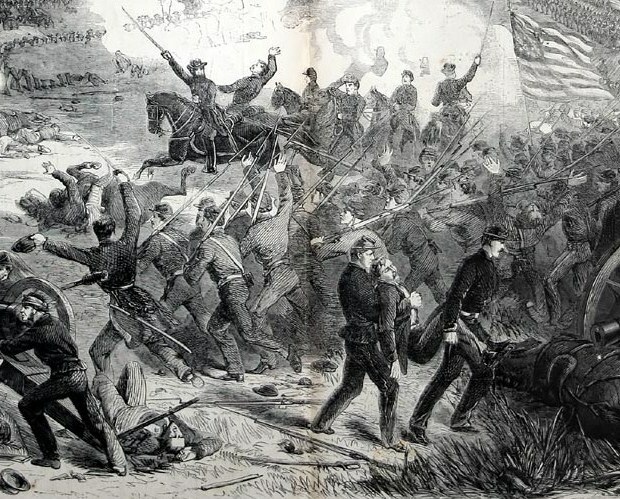 April 7– Monday– Pittsburg Landing, Tennessee– On the second day of fighting in the battle of Shiloh, one of the bloodiest battles to date, re-enforced Federal troops under General Grant turn a near defeat into a costly victory, routing a Confederate attack which costs the Union 13,047 dead, wounded and missing while the Confederates suffer 10,694 killed, injured and missing. April 7– Monday– London, England– Sydney Nelson, composer, dies at age 62. He has claimed that he wrote more than 800 pieces of music.